Property 7: Cottage close to Himmerlands Golf and Spa Resort. Property 8: Cottage with wireless internet close to the fjord, lake and sea in Thy National Park. Family friendly cottage. Great sea view and close to beach. Property 18: Family friendly cottage. Great sea view and close to beach. Idyllic holiday villa v. Sæby Å. Hygge, space and comfort for 12 pers. 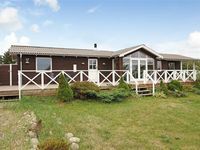 Property 19: Idyllic holiday villa v. Sæby Å. Hygge, space and comfort for 12 pers. 95 sq. metres lovely holiday cottage in fantastic location with fiord view. Property 30: 95 sq. metres lovely holiday cottage in fantastic location with fiord view. 60 m2 lovely city house near the harbour. Close to Jesperhus Feriepark. Wi-fi. Property 39: 60 m2 lovely city house near the harbour. Close to Jesperhus Feriepark. Wi-fi. Property 49: Apartment 100 meters from the sea. Stayed for one week in the house with 2 kids age 8 and 10. The house was just what we needed for a relaxing family holiday. Excellent indoor and outdoor spaces with enough room for everybody. Safe surroundings to let the kids go for bike ride on their own. We also had the opportunity to discover the local area following the 2k, 6k and 10k trails taking us to place that we would otherwise not have discovered.